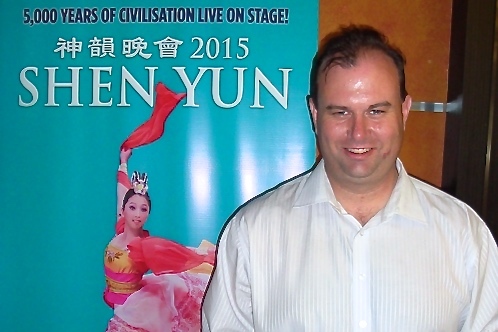 SYDNEY—Shen Yun performed to a full house on Feb. 11, at the Capitol Theatre. The history and the modern day stories of compassion struck a chord with the audience. 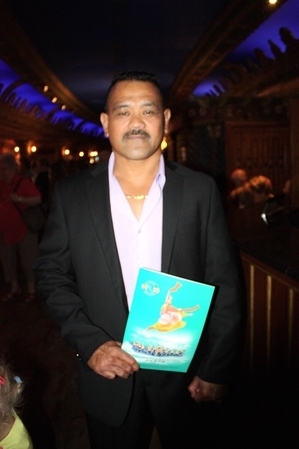 Many of the audience members had previously seen Shen Yun and were compelled to return for a second and third time. Parramatta Councillor James Shaw was impressed with the strong theme of compassion that weaved throughout the performance. This particularly related to the dance, The Power Of Compassion which tells the story of how Falun Dafa meditators are being beaten by communist party policemen. One of the meditators helps a policeman when he falls and hurts himself. 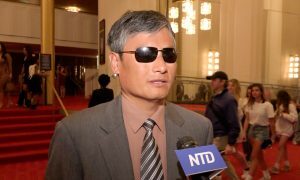 He thinks that Shen Yun has achieved their mission of reviving the ancient culture as they portrayed the culture very well. “I have a better understanding of it now,” he said. Mr. Shaw was also very impressed with the dancing, “Just how they jump so high and flip around, very impressed,” he said. Another feature of the company’s production is the vocal soloists’ use of bel canto operatic technique to sing Chinese lyrics. 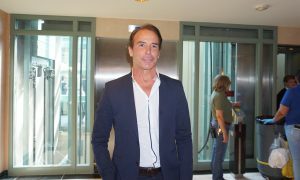 He particularly enjoyed the sopranos, the lyrics of the songs resonated with him. 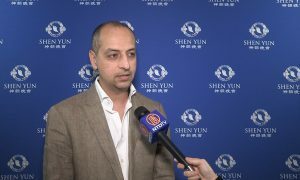 He said it would be hard to describe Shen Yun to others other than saying that it was very enjoyable in terms of dance and educational value. 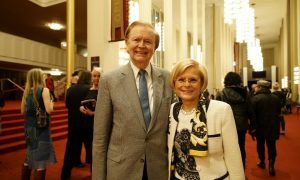 Michael and Lenore Gee who went to see Shen Yun 2 years ago both thought this year’s performance gave an insight into China’s diversity through dance. Mrs. Gee is a photographic artist, who received the Deans Award and first place for Cultural Productions Diploma of Fine Arts, said Shen Yun was visually beautiful. Both Mr. and Mrs. Gee were inspired and amazed by the blended orchestra of classical Western and traditional Chinese instruments playing original scores. They were particularly impressed with the performance by erhu virtuoso Xiaochun Qi who performed ‘All For Today,’ accompanied on the piano by Xin Lian. The two-stringed erhu is 4,000 years old and continues to stir audiences with its hauntingly beautiful sounds that have been compared both to the sound of the violin and the human voice. “The diversity of sound, and the notes that she got out of something that was so simple. It was very emotive, very emotional,” said Mrs. Gee. “Very good, very good, amazing. It was just very calming,” added Mr. Gee. 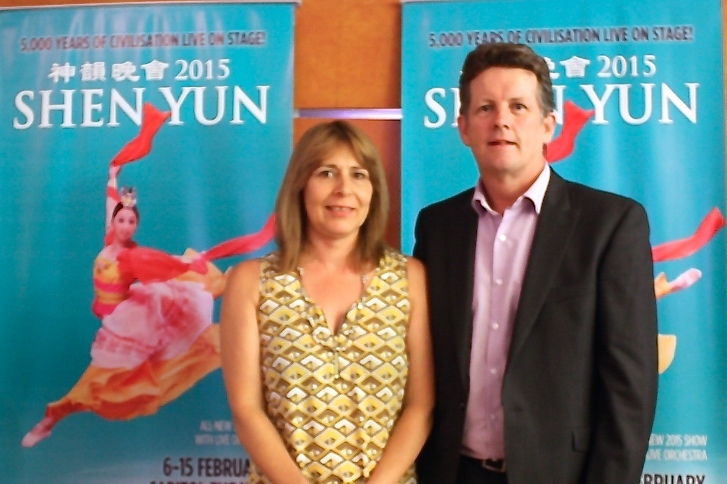 Adriana Howe, teacher from Newcastle travelled for 2 hours on the train with 6 colleagues to see Shen Yun. Ms. Howe thought the performance was very educational. 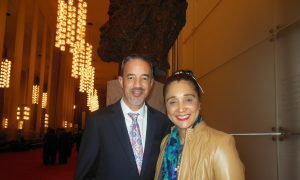 Although she has studied Chinese history she felt that Shen Yun gave her a deeper insight into the cultural history. 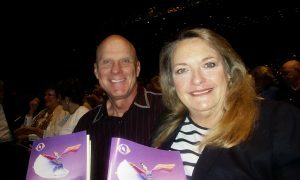 Robin Weller and her husband Sam came to see Shen Yun for the third time. Their son gave them tickets. 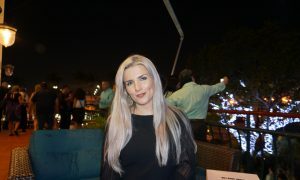 Although they have seen Shen Yun before Ms. Weller was blown away by what she saw. She said her son bought her tickets as a thankyou for looking after his children and the fact that she could not stop talking about Shen Yun last time she saw it. “The lovely faces, the beautiful costumes, the music, the music taken from ancient to [the] present and just how happy everybody seems upon leaving the theatre. “The music, the energy, the story, just a vibration of pleasure. To be able to say, this is something of our history and aren’t we lucky to look back,” she said. Sa Feetau security officer in a hospital, enjoyed the whole performance and appreciated the educational value.